This is so good! And when mixed with the chives, the result is phenomenal! It has the sour cream tang, a lovely creaminess, and it melts! 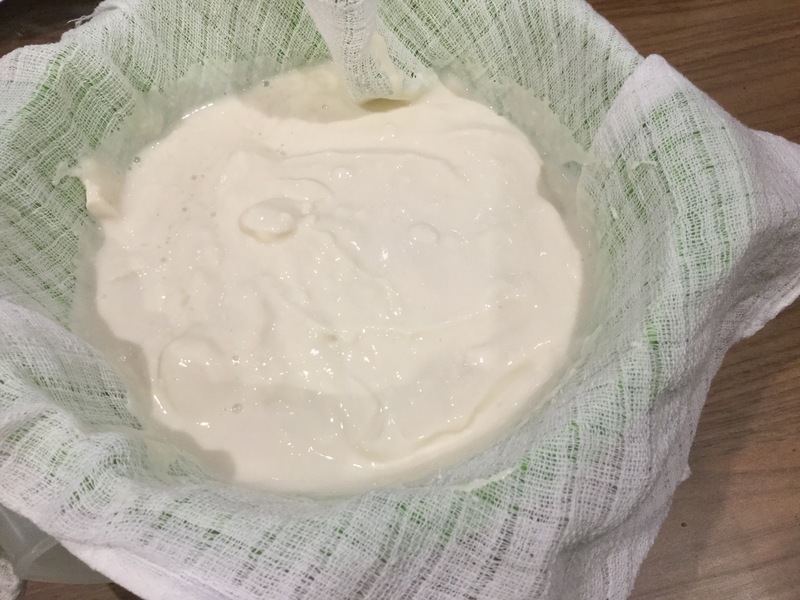 It takes a bit of time to strain the soy yoghurt, but other than that it really couldn’t be easier or quicker to make. I’ve had a couple of plays around with this recipe, swapping out different ingredients, trying alternate ways to incorporate it together but have come to the conclusion that simplicity is best! Mix the lemon juice and pinch of salt into the yoghurt , then set it straining over a large bowl, I used muslin cloth to strain my yoghurt, but a coffee filter would do just as well. Leave in the fridge overnight. The next day take the strained yoghurt and put in a clean bowl. Melt the coconut oil and whisk it into the thickened yoghurt till glossy and smooth. Pop back into the fridge to firm up a bit more. 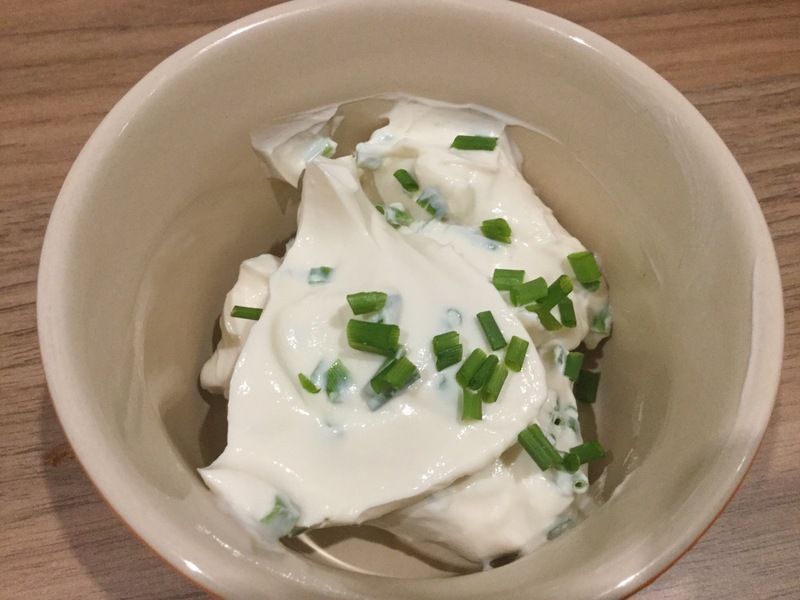 Snip the chives up into small pieces and stir through the soured cream adding more salt to taste, leave for an hour or so to help the flavours blend. 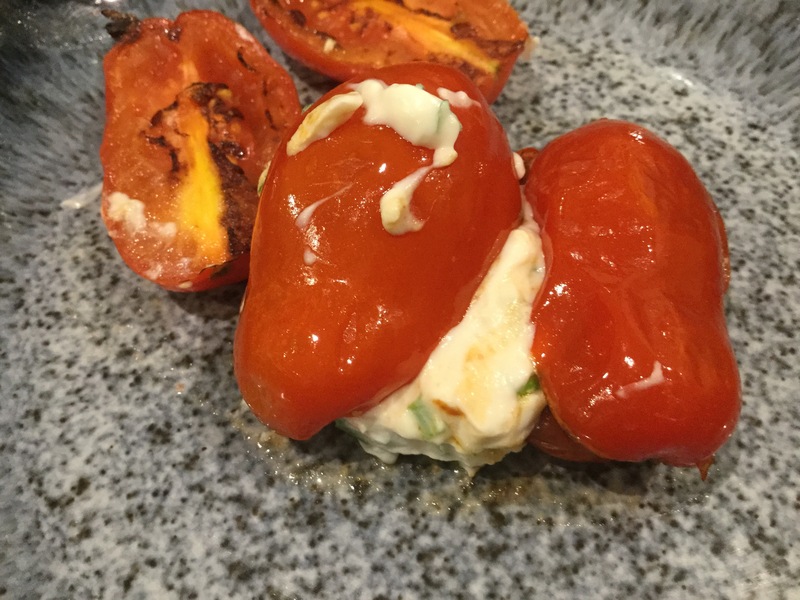 starting to melt .. stuffed inside charred baby sasan marzano tomatoes.. I haven’t seen vegan yogurt around to be honest. Sprouts doesn’t carry it. Does whole foods?